Established in the year 1990, we, Thakkarsons Roll Forming Private Limited, are one of the glorious manufacturers and exporters of an unlimited compilation of CRCA Coils, Sheets, Prefabricated Buildings & Solar Panels. We are famous for our extraordinary products series that comprises of precisely designed and developed CRCA Coils, Purlins & Channels and Building Interior Products. Manufactured under the supervision of our experienced professionals, these products are extremely popular in the market. Since our inception, we have believed in offering the best possible quality and we therefore strive to keep up with the quality standards by procuring the raw materials from the most dependable and trustworthy vendors of the industry. We are backed by a magnificent infrastructure that consists of machines and tools based on the latest technology. It is the responsibility of our experienced and well trained professionals, to manage the entire workspace and to conduct all the operations in a hassle free manner. Owing to the dedication and hard work of workforce, we have been able to come up with an exclusive range and strong client base. Under our Thakkar Group, we have three companies Metcraft Engineering Corporation, Metform Corporation and Thakkarsons Roll Forming Pvt. Ltd. Metcraft Engineering Corporation has been awarded second prize by the Maharashtra Government in the year 2001 for its contribution towards petrol pumps found in overseas countries. Further, Gamron India Private Limited, Nagarjuna Construction Company Limited, National Highway Authority India, IRCON International Limited and IVRCL are our major customers. We are enjoying an unparalleled position in the industry under the capable leadership of, Mr. Devang Thakkar. The consistent motivation, vast industry experience and market knowledge of our mentors have inspired us to put our best foot forward in attaining our goals. We cater export services in South Africa, Middle East & Gulf Countries. Manufacturing and Trading of cold roll formed sections. To provide best services to our clients with innovative mixtures of various roofing products supported by the latest technology. At our company, we have established a workspace that comprises of multiple machines and tools that help in proper manufacturing and storage of the products. In addition, we have categorized our spacious workspace into numerous departments, in order to carry out operations without any obstruction. It is because of our infrastructure facility that we have been able to garner a huge client base. 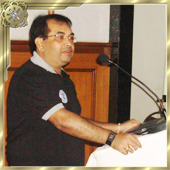 He is the Managing Director of Thakkar Sons, Met craft and Metform. He has years of expertise in Cold Roll Forming Machines and Rollers. He is the main person behind the Indigenous Roll Forming Machines with different method for cost effective and for better productivity. Managing Director of KLT Automotive: Innovated Tubular Chassis first time in India and proceeding for the Development of Hydro Forming Technology. A well qualified Chartered Accountant, heading M/s. Color Roof India Ltd. and Finance Director of M/s. KLT., young & dynamic finance controller and also Organizer in Team Management. Our efficient team is the foundation of the immense success and name in the industry. We have recruited a team of professionals on the basis of their educational background, technical knowledge and years of industry experience. Our team members are proficient in their respective fields and strive to understand the varied requirements of our customers. Thakkar Group is one of the preferred choices of its customers for offering an endless range of Prefabricated Building Structures and False Ceilings. We have been in the industry for a very long time and are well aware of the changing market trends and customer demands.